[New for 2013] So Turkey Hill has the rebranding of their All Natural line going strong (formally "Philadelphia Style") and one of the newest full time members of the group is Salted Caramel. Now this isn't to be confused with Turkey Hill's Salty Caramel which is one of their limited edition flavors (but is not all natural). 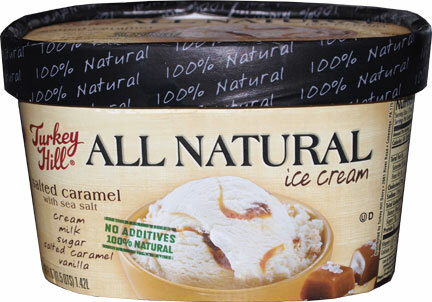 So here is Turkey Hill Salted Caramel all natural ice cream. 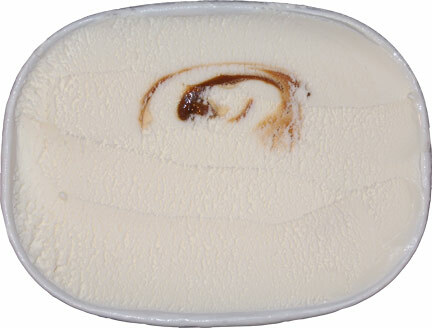 Just cream, milk, sugar, salted caramel and vanilla proclaims the container. (ok, technically the salted caramel has several ingredients itself, but whatever). Hmmm, looks all too familiar but don't worry, there's more swirls below! The good news is that the simplicity of being All Natural has added that little spark that sets it apart from their very tame Salty Caramel. I don't know if there is a little bit of salt in the base, but it has just this little pop that mixes well with the clean texture of this all natural ice cream. To be honest, I'm not sure if the base is suppose to be straight (but mild) vanilla or have a hint of caramel, but I do know it is amusing me. On Second Scoop: This is one of those flavors that grows on you every time you try it. Yes, it's basic, but it's a well done basic. I think it's easy to be bored with basic, but that's because too many companies have forgotten what basic means. Man I appreciate all natural product lines because it's the ice cream of my childhood all over again. I had this flavor some months back and it's easily my fav caramel flavor. Like you Dubbs I appreciate the simple clean taste and no coating on your teeth. 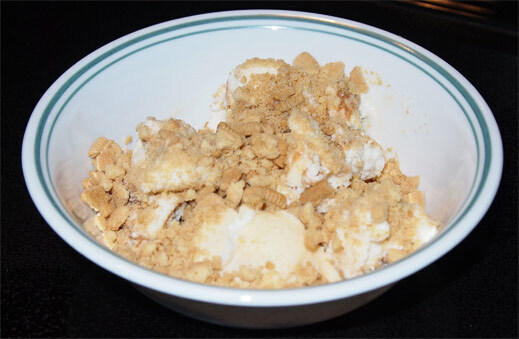 I love Golden oreos so I may have to try your sundae idea! I feel the same way you do about Breyers in general. They have the right ideas but many of their products miss the mark and lead to disappointments. Chips Ahoy! blast had so much potential but was ruined by the fudge swirl. They need to learn that not every ice cream flavor needs a swirl to spark interest.